Potential: This is a foundational course focused on those in the private security sector. It can be built upon by additional learning found in our HRSO and 10 Things catalogs. 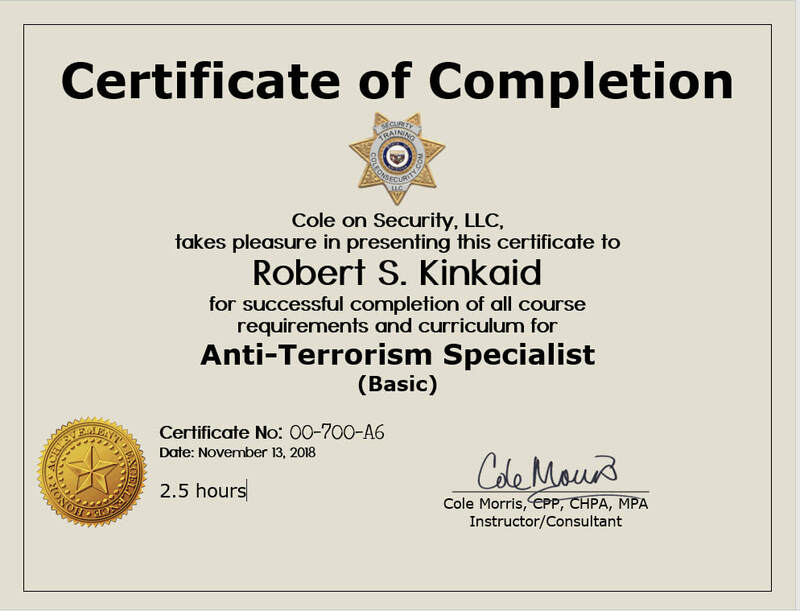 With the correct selection of courses, the advanced ATS certificate may be earned. Please follow this space as we develop the advanced ATS concept. 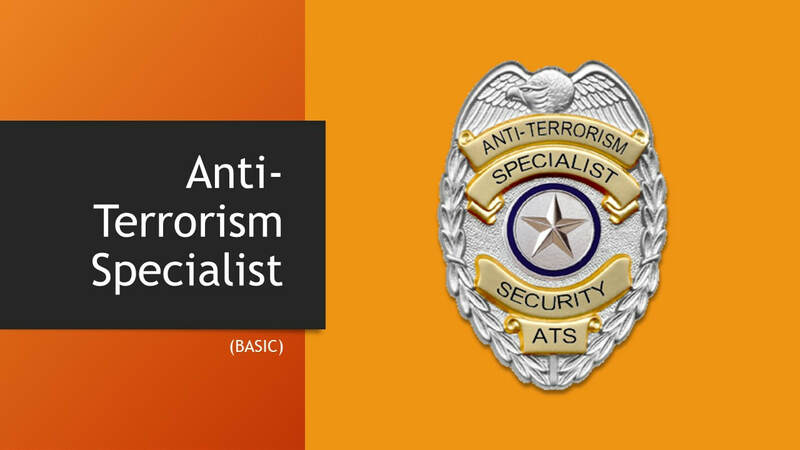 Our basic Anti-Terrorism Specialist (ATS) program recognizes the potential of private security officers in the protection of the U.S. homeland. The philosophy here is to be proactive, not reactive. Since the private security sector is almost three times the size of public law enforcement, it is a resource that should not be ignored. Building on the traditional "observe and report" model of private security, the ATS takes the learner to a higher level of awareness and responsiveness. ​We want to continue program (and frankly all our offerings) as living content. We update, change and modify content based on changing situations and input from learners like you. The Dynamics of "Suspicious Behavior"